restriction gauge. Failure to comply may result in damage to the air restriction gauge. Remove air restriction gauge (Figure 1, Item 4) from air inlet collector assembly (Figure 1, Item 5). comply may result in damage to equipment. Apply a small amount of filter element oil, from air filter cleaning kit, across the top of each pleat. Allow filter element oil to wick into the air filter element (Figure 1, Item 2) for twenty minutes. Apply filter element oil to any white spots. Position air filter element (Figure 1, Item 2) on air inlet collector assembly (Figure 2, Item 5). element to retain air filter element assembly (Figure 1, Item 2). 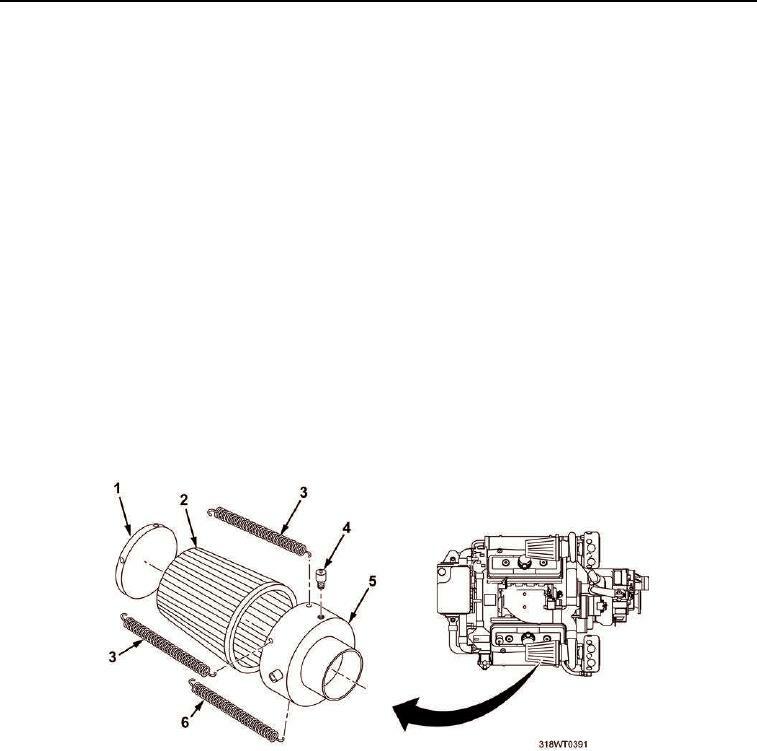 Install bottom retainer spring (Figure 1, Item 6) to air inlet collector assembly. Install air restriction gauge (Figure 1, Item 4) to air inlet collector assembly (Figure 1, Item 5). Figure 1. Air Inlet Collector Assembly. cannot be removed with follow-up cleaning, replace air filter element.